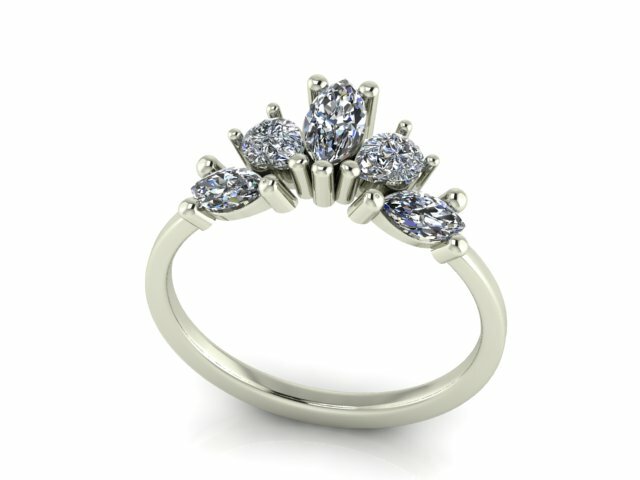 The Radiance range is designed to radiate around your engagement ring like a vibrant burst of sunshine. 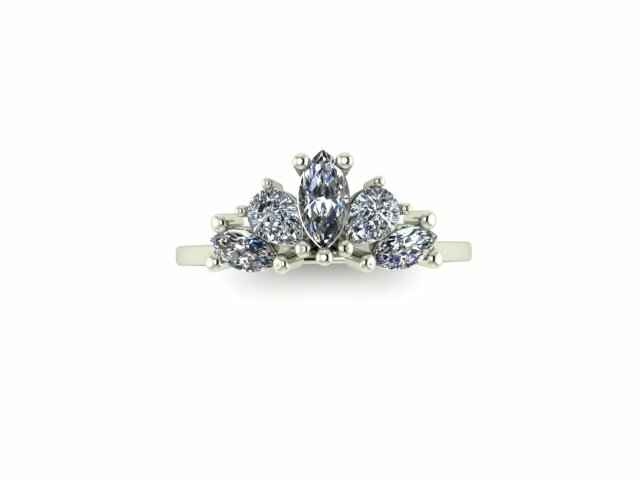 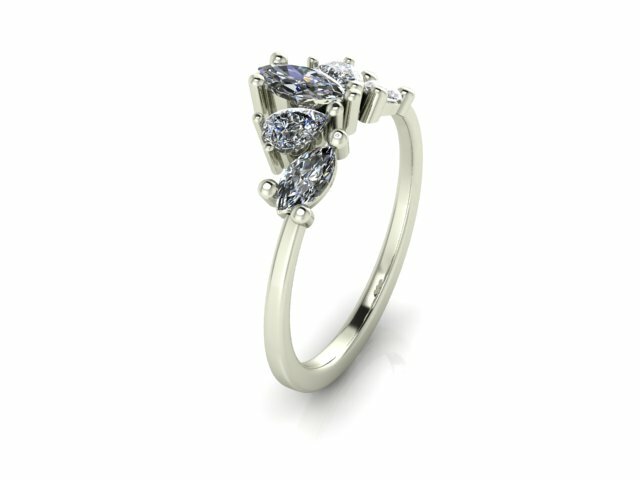 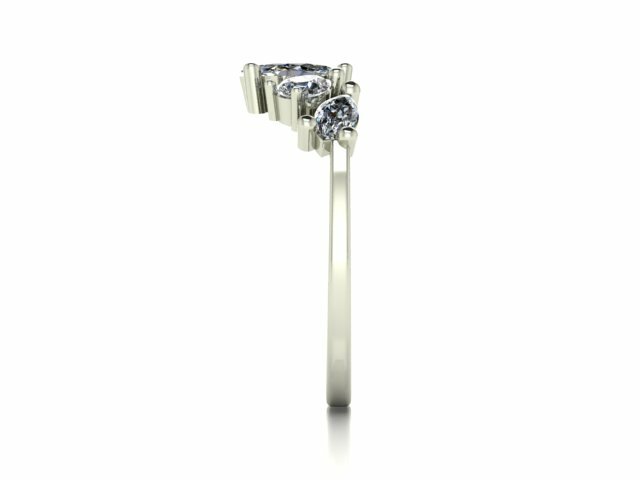 Made with marquise cut and pear shaped ethically sourced diamonds and 18ct white gold. 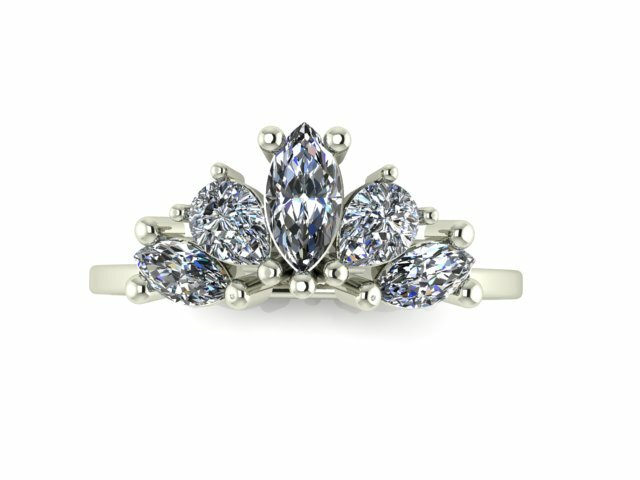 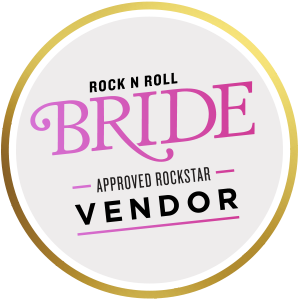 With a total Diamond weight of 0.64ct E-G VSI diamonds.